24. North Topeka, KS Home - Awesome Personal Validations - Toy made noise on shelf, and there were no batteries in the toy! 36. Central Topeka, KS Historical 100+ year old home + One-on-One Medium Session - Very Successful - Awesome Personal Validations - Some Debunking - Nice Picture - Very Happy Family Daughter slept in her own room that night, which hadn't happened in longer than her mother could remember! Received some great messages from the sister/aunt. 39. Crescent Hotel, Eureka Springs, Arkansas - Awesome readings on the EMF Meter/Ghost Meter, when asking if someone is here please make your presence known! We are hoping to return to spend the night. They say the most things happen during the witching hour, which is between 2:00 and 3:00 am! If you are interested in the paranormal, this would be a great place to visit. 40. 1st Investigation at the Junction City Opera House - One on-One Medium Session - Awesome Personal Validations, Great Pictures & Two Electronic Voice Phenomena (EVP). 41. Navarre, KS Home - One-on-One Medium Session - Personal Validations to husband who had passed, Awesome Picture, EMF Readings, Light on Video Getting Blocked unable to explain, Two Way Radios Making Funny Noises at the same time Medium was feeling something! 42. Holton, KS Home - One-on-One Medium Session - Personal Validations from the homeowners' grandma who has passed. She had a message for her grandson. The grandfather of the daughter's boyfriend showed up, and the brother of one of our investigators stopped in and brought us an event that happened while he was alive. 43. Rod, KC, KS - One-on-One Medium Session - Awesome Personal Validations - His brother came through and gave him closure! 44. Mary, KC, KS - One-on-One Medium Session - Awesome Personal Validations - Her mother came through! 45. Angela, KC, KS - One-on-One Medium Session - Awesome Personal Validations, a doctor came through to help someone at her work, Grandma and Uncle also came through! 46. Kayla, KC, KS - One-on-One Medium Session - Awesome Personal Validations - Dad who passed 6 years ago didn't let her baby girl down, he will be attending her wedding in April! 47. Angela, KC, KS - Bio-Energy Healing Session - Great Team Work! 48. Husband & Wife, KC, KS - Parents lost 19 year old daughter - Medium Session - They found her, she came through loud and clear! So many awesome validations came through! 51. Kansas City, KS - Supporting a friend - Medium Session - Husband's family & a work friend's son came through when least expected! 54. Salina, KS Home - One-on-One Medium Session - Very Successful - Personal Validations - We sent a lost soul home, followed by a black cloud of lower vibration energy. This investigation was one of the best ever, not only did the medium tell us what was going on, our equipment validated her every move! That is truly a remarkable thing. 55. Kansas City, KS - Very Successful - Distance home clearing of unwanted lower vibration spirit! 57. Nancy, Overland Park, KS - One-on-One Medium Session - Awesome Personal Validations - A missed husband who asks his wife why she hasn't moved on. 58. High School Girl, Overland Park, KS - One-on-One Medium Session - Awesome Personal Validations - her 16 year old guy friend came through after a horrible accident that took his life less than a month ago. 59. Missy, Overland Park, KS - One-on-One Medium Session - Awesome Personal Validations - The brother who took his own life tells family he is OK on the other side. A mother came through for her daughter as well. 60. Mom Looking for answers, Topeka, KS - One-on-One Medium Session - This Baby Daddy who took his own life came through loud and clear - Awesome Personal Validations. 62. Wife needing Husband, Topeka, KS - One-on-One Medium Session - Awesome Personal Validations - He came through loud and clear to tell his family that their son was going to be OK. He also mentioned the reason for his passing was to make sure his son would be OK in this earth time... Wow!! 64. Friend of Friends, Topeka, KS - One-on-One Medium Session - Awesome Validations - Grandma with great hair came through - A huge highlight for me was when one of my spirit guides came through loud and clear due to he was friends with this person in his earth time. 67. Lacy, Topeka, KS - One-on-One Medium Session - Awesome Personal Validations to her childhood. We also found her spirit guides and life path. 68. Historic Jayhawk Theatre, Topeka, KS - One-on-One Medium Session - Awesome Personal Validations from a relative of the board president who came through at the pre-investigation. 75. Grandma with Daughter & Son, Meriden, KS - Group Medium Session - Grandpa showed up with so many personal validations it was incredible - lower vibration energy removal. Huge success - First, our Medium picked up on a boy who was killed in an accident long the highway. Then several of our investigators heard singing that lasted several seconds and could not be debunked. Both our K-II meters were answering questions like crazy, and one of our investigators is trying to decide if she was really touched. This investigator has never said they have felt being touched before? At the same time, it was felt that their two-way radio was making crazy noises! Two of our investigators also got answers from their dowsing rods. All in all a wonderful time with enough activity to keep us interested in staying several hours. 81. Karen, Topeka, KS - One-on-One Medium Session - Awesome Personal Validations - Sister, Mom, Dad, Both Grandmas, her Aunt, and a friend of the family came through! 82. Matt & Kari's Arkansas City, KS Home + One-on-One Medium Session - Awesome Personal Validations - We heard from several family members and other friends on the other side who had special messages for those still living. One of them was a wife who died of cancer telling her husband's new friend she made it to the other side and it is wonderful there. She gave her husband's name, where he worked, and what she died from... amazing! Thank you God for blessing us that night! 83. Della, Wichita, KS - Group Medium Session - Awesome Personal Validations - A son giving his name who died in the war came through to a friend of his mothers wanting her to tell his mother he too is OK on the other side. He also suggested that his mother get a new doctor because of the many medications she is taking and nothing is helping... he didn't have much good to say about that doctor. We pray the mom listens to the friend's advice from her son! 84. Charlee, Topeka, KS - One-on-One Medium Session - Awesome Personal Validations - Grandpa & Good Friend! 85. Cheryl, Topeka, KS - One-on-One Medium Session - Awesome Personal Validations - This session rounded up an old friend who needed to say he was sorry... and he did, an awesome validation was his first name and his initials! Then the grandfather comes through to tell mom he looks out after his grandson who is the racecar driver! 86. James & Angela's Home, Topeka, KS - One-on-One Medium Session - Awesome Personal Validations - When we got there, I asked the homeowner who the "co-worker" was that had died? I felt their name started with a "B". Then later I mentioned that I felt tension between a co-worker, but then I quickly changed it to tension between him and his dad? I then kept getting a boy 10-11 years old who had passed; it was a strange feeling not like something I had felt before. As a medium, it is really hard to get information when the person it is for isn't available to connect the information. After a night of trying to put the puzzles pieces together, we find out he was on a job where a "co-worker" was killed, the co-worker was his uncle and his last name was "Bailey". He said that he had tension with his dad but not a co-worker. However, he worked with his dad and uncle at the time his uncle passed. Therefore, his dad was his co-worker at the time. The little boy who died was the homeowner himself. When he was 10 almost 11, he fell in an icy pond and was dead for more than 10 minutes. Part of the death still lingers outside of him. The dish stacking in my heart is his uncle trying to tell him to quit wasting his time and get on with your life! That is wasn't his fault the uncle died in the accident! 87. Carol, Topeka, KS - One-on-One Medium Session - Awesome Personal Validations - Father came through loud and clear telling about a hunting trip. 88. Sherry & Sister, Topeka, KS - One-on-One Medium Session - Awesome Personal Validations - Heard from sister who was murdered and a couple of other family members. 89. Matt, Topeka, KS - One-on-One Medium Session - Awesome Personal Validations - He drove just to see Vicky from Wichita, KS; that is pretty awesome. His wife came through with some very special messages! 90. Marilyn's, Topeka, KS - One-on-One Medium Session - Sent a lost soul home! 91. SW Lindenwood Home, Topeka, KS - One-on-One Medium Session - Awesome Personal Validations - The teenager who lived there had an attachment from his childhood. We removed the attachment and the negative lower vibrations energy. The family was so relieved and very thankful. They felt the negative energy leave the home. One of our investigator's hair stood up on their arm as the energy was removed. 92. Constitution Hall, Topeka, KS - What a great night we had investigating; nothing jumped out and touched us. However, we did get a few meter readings, and one of our investigators took on some unexpected ill energy. Our Medium also felt like she was shot in the stomach with something very large and claimed to see a woman cooking in a kitchen that is no longer there. Still reviewing evidence! 93. Jessica, Topeka, KS - One-on-One Medium Session - We made contact with her mother, dad, & guy friend on the other side! It was such an honor to be a part of it. 94. Mederith, Merriam, KS - Home investigation - Some meter readings were noted on the EMF meters. 96. Sister of Jessica, Topeka KS - One-on-One Medium Session - Awesome Personal Validations - Ex-Husband showed up to say he was sorry and to let the mother of his child know he was taking better care of them from the other side than he did when he was alive. Also a childhood friend who passed waiting on a kidney transplant was there to let her know she was OK.
97. Daycare Home, Abilene, KS - Home investigation - We cleared the house of its negative energy! It was awesome because the homeowners also pitched in to help. Another great thing happened, one of our investigators starting feeling the energy being moved for the first time... very successful night! 98. We had a call for help from Kansas City... there is a spirit who thinks the homeowners' baby is theirs. They won't even go to the home, that is how scared they are. Our medium Vicky has used her energy healing abilities to complete a distance/remote clearing of the low negative vibration energy from the home and have taught them how to protect themselves. They are to go back home to restart their lives. 99. Public Investigation Constitution Hall, Topeka, KS - We had enough action at our public investigation last night that it overcame and ran one of the public investigators off early. Flashlight conversations, K-II meter readings, & our medium hitting on red and white checker board chairs that belong to a friend who was murdered. 100. Yvonna & Amy, Topeka KS - One-on-One Medium Session - Awesome Personal Validations - One of the best medium sessions so far in my career. I knew almost everything I was going to get even before I got there this morning. Husband/Father, Mother/Grandmother, & Brother make themselves known to their family. Dad also told the daughter why her trip didn't go the way it was planned. Then he showed himself to me so that I could explain exactly how he looked to them. He even told me how he died and his age at death. Questioned asked by client, "What did I whisper in my mother ear right before she passed?" I closed my eyes and saw a bright light so I said. "It's Ok to go to the light mom." Bingo! 101. Holton, KS - Home investigation - We had several EMF meter reading that couldn't be explained and one nice picture so far! 102. Topeka, KS - Group Medium Session - Wonderful validations from a father to his daughter. A friend who saved her life from the other side by stalling her car under a bridge during a tornado. Two guy friends from another gal. 103. Waterville, KS - Home Clearing - our medium/energy healer Vicky cleared an old farmhouse. It is going to be burnt down as a training for the local fire department. 104. Trina, Topeka, KS - Medium Session - Today's medium session had an awesome first. I always start off my sessions with a little introduction about how the whole thing works. Today the spirit come through so strong I couldn't wait until after the introduction to get started. The name of the person she was looking for came through within 1 minute of starting the session. This was one of the fastest starts to a reading I have ever had. It was such a pleasure to give them this reading. 107. Topeka, KS - Harrison Church - Investigation went well, medium was able to pick up on several things that had happened in different rooms. This investigation was done with another KC team, Unfinished Business Paranormal, a very respectful professional positive energy group. We hope to do more investigations with them! 108. 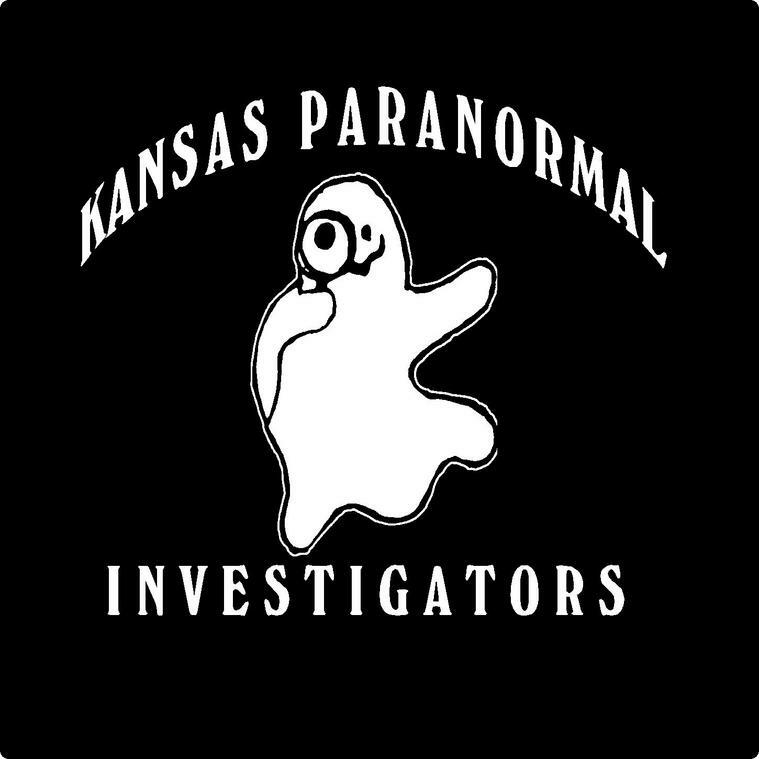 Topeka, KS - SW Home Investigation - Emergency investigation last night at a 100+ year old home; called at 7:00 pm, and we were there by 9:30 pm! This energy was feeding off memories from their past. We cleared the home of the lower negative vibration energy and did some energy work on the homeowner and her mother. Things seemed more calm with the home and the homeowner when we left at 1:00 am. Liz Moran - Vicky, I think you had a wonderful presentation with a lot of great questions thrown your way and you handled them with care and respect. 111. June, Topeka, KS - Medium Session - This was a session to never forget. Husband and dad came through loud and clear. Telling a story of how he got stuck in his car. Also a meaningful sign came through for the client when our medium mentioned a shooting star! 112. Leroy, Topeka, KS - Home Investigation at one of our investigator's recently passed sister. During that night, we had a fan turn on by itself. 114. Sharon, Topeka, KS - Medium Session - A special mother and grandmother came through loud and clear, along with a nephew who took his own life. Our medium was caught off guard when the dead mother said to her, "I was waiting for you to notice, but I guess you are not going to, so I better tell you. You know that purple cloth my daughter has been twisting between her fingers in front of her face and wiping her tears with this whole session? It's mine..." That was a bright star in the session! 115. Jeff & Wife, Kansas City, KS - Medium Session - Crazy Awesome Medium session today! Medium says, "Your brother is on the other side.” Client says, "Yes.” Medium says, "He is showing me fireworks. Does that mean something?” Client, "He passed on July 4th.” The client and his wife cry. Vicky, our medium, smiles. We are blessed! Many things validated today!! 116. Amanda, Topeka, KS - Medium Session - Three friends, two sets of Grandparents, two children, and a message the client will never forget. One week before her wedding. More than the client could have hoped for. 117. Casandra, Emporia, KS - Healing & Medium session - Both sessions went very well. Have heard back from the client, and things are looking better. Solider killed while on leave in friend's car... many validations. 118. Peggy, Topeka, KS - Medium Session - Awesome validations - dog owner come through to tell sister thank you for taking care of her dog. Solider killed in the current war... message for his mom. 119. Shannon & Family, Kearney, MO - Medium & Healing Session - Turned a non-believer into a believer. Daughter's friend comes through loud and clear. Husband's sister tells her brother she is sorry. Taught a little boy how to help heal himself with his own energy and prayer. 120. Mother, Young Daughter & Sister, Emporia, KS - Bio-Energy Healing session & Medium Session - Vicky and her husband traveled to a family in need of a healing session for their young child. The session went very well, and then several family members came through during their medium session. 121. Jenny, Kansas City , KS - Medium Session - Our Medium had an opportunity to prove her gift is real at a session in KC last night. Unknown to her, a second family member scheduled a session in hopes that the family members who came through before would come through again. Incredibly, they did with similar validations and messages. 122. Katie, Kansas City, KS - Medium Session - Awesome Validations - husband came through and gave her some wonderful messages. 123. Amber & Male Friend, Kansas City, KS - Medium Session - Awesome Validations. Husband let her know he was OK and sorry. Told her he was supporting her future plans. Then the Grandfather of her friend came through and made some funny statements. We laughed and cried!! 124. Ashley her mom & Friend, Kansas City, KS - Medium Session - Brother/Son/Best Friend came through loud and clear. Letting the mother know he sees the things she does. Many great validations! 125. Charlene, Topeka, KS - Medium Session - Today's medium session was incredible. A co-worker of the client's 2 year old son who was killed when a car backed over him came through for his hurting parents. What a beautiful Christmas gift for this family. Thank you to the client's husband on the other side who brought him through along with some really special messages for his wife and family! 126. Michael, Topeka, KS - Medium Session - Aunt who was murdered and dad came by to say hello. What a thankful family member! 128. Salina, KS - Home Investigation - Our medium felt the energy of an old dresser, which so happened to be the piece of furniture that was suspected to be causing some of the activity in the home. 129. Ashley, Lawrence, KS - Medium Session - Dad came through loud and clear! 131. Ray, Topeka, KS - One-on-One Medium Session - Awesome Personal Validations - Spirit asked about the ring she had brought to the session. 135. Janelle - One-on-One Medium session - Awesome Personal Validations. Email thank you from client: "I can't thank Vicky enough for the amazing job she did today! It was more than I ever expected! I walked away feeling as though a ton of bricks had been moved off my shoulders! I have waited 20 years to receive a message from my mom, & it was everything I hoped for & more. As for my grandma, it has been a real struggle this past year to accept her passing, I have felt that she is beside me, & now I know she is. Thank you again for sharing your gift & accepting it. I can only imagine the people you have helped & future ones. You are so down to earth & comfortable to talk to. Thank you again! " 136. Courtney & Mom - One-on-One Medium Session - Awesome Personal Validations - Brother/Son came through loud and clear. He thanked them for doing an awesome thing with his dogs ashes! 137. Leach Opera House, Wamego, KS​​ - One-on-One Medium Session - Electronic Voice Phenomena (EVP) & Awesome Personal Validations recorded! Great place!! 138.​​ First Ward House, St. Joseph, MO - A great place but not enough evidence at this time to be considered haunted. 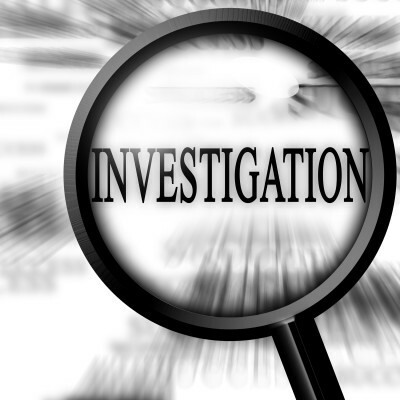 ​​​​We have now completed over 300+ investigations and over 500 medium sessions. Hope that you will be meeting you soon! Check our events page to join us! For additional investigations and medium sessions see our Facebook pages. Bold Text Means Our Team Feels There is Spirit Activity at this location!